Despite humankind’s advancements in many fields, we are still an incredibly wasteful bunch. We have landfills all over the world, and we’re heading in a direction that will make our Earth look like the one depicted in WALL-E. To help the environment, we need to reuse materials in a way that not only removes waste and pollution from the environment but actually improves the world. There simply isn’t much someone can do with dried-up corncobs that don’t have kernels. They are probably one of the most useless pieces of garbage. Even animals won’t eat them. This struck 11-year-old Lalita Prasida Sripada Srisai of India as being a terrible waste. That’s when she decided to perform an experiment with the dried-up cobs. Srisai got a bowl of dirty water and dropped some dry cobs in it. When she came back, she found that the water was cleaner. From there, she developed a filtration system with five bottles. Water trickles through the bottles, which have corncobs in different states, such as whole cobs, granular powder, and blackened corncobs. Srisai believes that her system will remove 70 to 80 percent of contaminates. From there, the water just needs to be boiled or have an iodine tablet added to it. Srisai says that if farmers were to adopt her system, they could save money by using something they would normally throw away. For her innovative idea, Srisai won the 2014 Google Science Fair at age 14. Wood waste is another material that doesn’t have many uses. Metal waste can be melted down and repurposed, but rejected wood chips don’t come with those options. 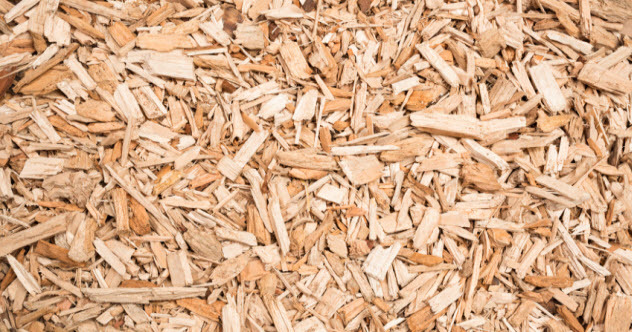 Then researchers developed a process called fast pyrolysis that heats the wood waste without oxygen and turns it into crude biofuel and gas. Just like fossil fuels, this biofuel can be used in transportation, chemicals, and the manufacture of plastic. This fuel would also be cleaner and cheaper to make than traditional fossil fuels, even though the developers do not plan on competing on the same level. Instead, they are simply taking advantage of waste. If successful, they plan to expand their project to a full-scale refinery. Beer is one of the most popular drinks in the world, with about 1.96 billion hectoliters brewed in 2014. That’s over 415 billion pints. In the brewing process, there is a lot of wastewater, which includes substances like wasted beer as well as spent barley and yeast. To take advantage of this water waste, Nutrinsic Corporation has developed a process that changes the condition of the water to nurture the growth of microorganisms that produce protein. Then the protein is harvested, concentrated, sterilized, and dried. The remaining product can be used as food for fishes and a by-product in other animal food. Also, the process makes the water clean, so it can be reused in the brewery. Nutrinsic has two plants, one in China and another at the MillersCoors Trenton Brewery in Trenton, Ohio. Their process reduces water usage, creates another source of revenue, and helps with the world’s food production. With space at a premium on Earth, it makes sense to find another way to feed livestock without using land that is needed for human food production. Nutrinsic’s process would create food for animals without taking up much land, and it takes advantage of something that would be wasted otherwise. It is estimated that 15 billion cigarettes are sold every day throughout the world. This leads to trillions of disgusting, used cigarette butts that litter the ground, waterways, and landfills. No matter where cigarette butts end up, they are still full of chemicals and tar that can pollute the land and waterways. 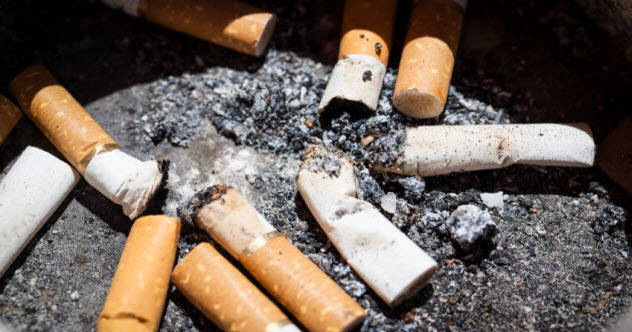 Fortunately, scientists from Seoul National University in South Korea have discovered that cigarette butts can be recycled for use in batteries. When the butts are put through a thermochemical decomposition process called pyrolysis, the cellulose acetate fibers in the cigarette filters can be made into a carbon-based material used in supercapacitors. Supercapacitors are innovative batteries that last longer, charge faster, and hold more energy than regular batteries. They are increasingly used in a number of different fields where batteries are common, such as the communication, transportation, and energy sectors. During their tests, the researchers said that their supercapacitors made from cigarette butts are better than supercapacitors made from graphene, carbon nanotubes, and carbon. Arguably, the most wasteful thing that people in the West spend their money on is bottled water. Throughout the world, 50 billion bottles are sold each year, with 30 billion sold in the US alone. That doesn’t even include the number of plastic bottles used to hold other beverages. These plastic bottles are made from polyethylene terephthalate (PET). Instead of biodegrading, they go through a process called photodegradation. This means they break down into smaller fragments which absorb toxins and then pollute the soil and waterways, making animals sick. 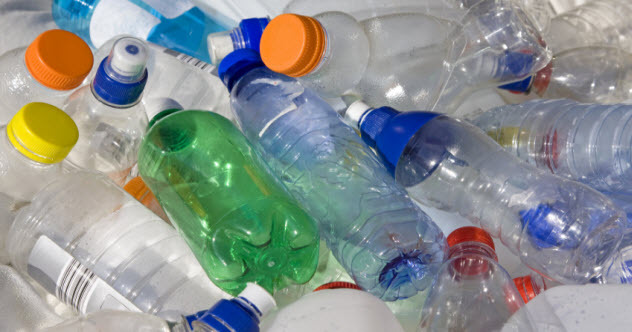 However, researchers at University College Dublin discovered a way to transform cheap PET plastic into a high-grade, valuable plastic called polyhydroxyalkanoate (PHA). This new plastic is created by melting the bottles down using pyrolysis, which breaks the PET plastic down into terephthalic acid (TA) and a little oil and gas. Then a strain of bacteria called Pseudomonas can grow and thrive on the TA and convert it to PHA. PHAs are used in medical supplies like stents, which are tiny mesh tubes that hold arteries open. PHAs are also used in tissue engineering. Tires from automobiles are a complicated problem for waste disposal. As they are made of rubber, they will take 50 to 80 years to decompose. For decades, used tires have sat in landfills as potential fire hazards and havens for rodents, insects, and snakes. This isn’t a tiny problem, either. 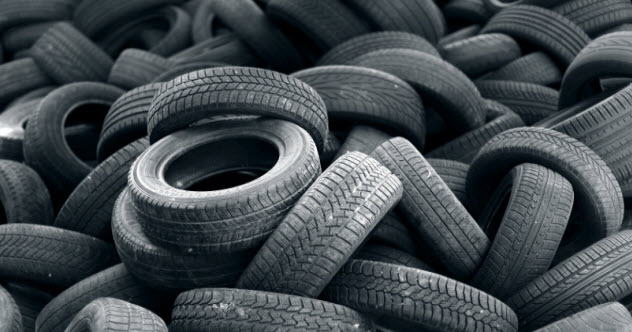 It is estimated that 1.2 billion tires are thrown away every year. Veena Sahajwalla from the University of New South Wales has developed an innovative plan to get rid of these old tires while cleaning up another industry. She uses tires and certain plastics to replace coke when making steel. Produced from coal, coke is used as a heat source in forging steel. But coke is bad for the environment. Sahajwalla’s process has two benefits over coke fuel: It removes impurities, and it puts more iron back into the steel. As a result, about 10–15 percent less fuel is needed to make steel. Her process also has a twofold effect on the environment: It recycles tires and reduces carbon emissions in the steelmaking industry. In some cases, steelmaking costs can be reduced by more than 10 percent with this method, although it depends on the quality of the materials used. Since starting this project, Sahajwalla has recycled over two million tires. Plastic grocery bags are a major scourge of modern society. It is estimated that between 500 billion and one trillion bags are used every year. In places like the UK, plastic bag usage has been increasing each year, mainly because they’re so much cheaper than other bags. 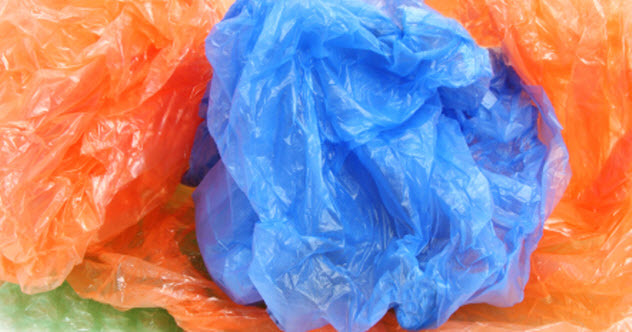 The problem is that most plastic bags are thrown out after one use. In the UK, for example, only about 6 percent of plastic bags are recycled, which leads to millions of tons of plastic bags in landfills. The bags that don’t make it to landfills become hazards to wildlife. They also take a long time to decompose, with some estimates suggesting that it will take at least 500 years. It’s also possible they may never decompose. However, scientists at the University of Adelaide in Australia have devised an incredibly complicated process that turns plastic into carbon nanotube membranes. One nanometer is about one ten-thousandth of the thickness of a human hair. These microscopic nanotubes can be used in a variety of fields, including energy, health care, and electronics. 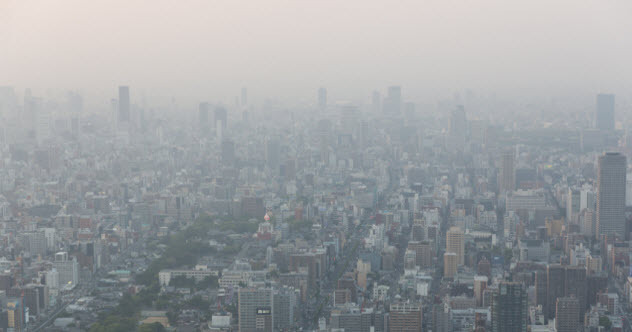 According to the World Health Organization, one of every eight deaths in 2012 was linked to air pollution. In fact, air pollution is considered the “single largest environmental health risk” because it can lead to heart disease, lung cancer, strokes, and chronic obstructive pulmonary disease. To remove some pollution from the air, Anirudh Sharma from MIT developed the Kaala-printer which takes the soot particles found in most air pollution and turns it into powdered ink. The powder is then mixed with rubbing alcohol and oil. Using vodka and a drop of oil for his test, Sharma was able to print at 96 dots per inch. He believes that one hour with a diesel engine or 10 minutes with a chimney would create enough soot to fill a traditional ink cartridge. Not only will Sharma’s printer help clean the air, it may also reduce the high expense of printer ink. For many reasons, clean water is an absolute necessity to the Earth’s ecosystem. Obviously, we need it for drinking water, but it also impacts the air we breathe. About 70 percent of the Earth’s oxygen comes from marine plants. 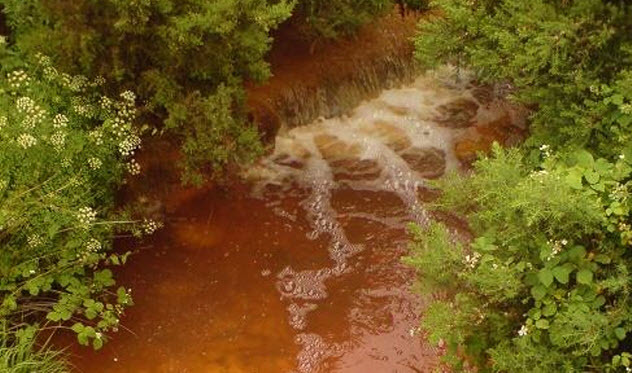 This makes cleaning up the water an urgent task that needs to be tackled immediately. A fascinating idea from researchers at the University of Bristol will clean up the water and turn pollution into energy. Their robot, called Row-Bot, swims around looking for polluted microbes and then converts those microbes to energy in its microbial fuel cell. In tests, the Row-Bot was supposed to collect just enough energy to power itself. But the scientists found that the robot collected more power than it needed, which means that the excess can be used for other energy needs. The leading cause of climate change is the emission of carbon dioxide (CO2) into the atmosphere. However, the scientists at Carbon Engineering in Calgary, Alberta, believe they’ve developed a way to pull CO2 from the air and convert it into fuel. Their method uses a large wall of fans to pull air through a liquid that absorbs CO2. Once collected, the CO2 turns to salt, which can be stored underground or used to make a low-carbon synthetic fuel. In the full-scale design of their plant, the engineers believe they can pull emissions from 300,000 cars and generate 100,000 barrels of fuel every year. Their pilot project, which they are hoping to launch in 2017 or 2018, should be able to produce enough synthetic fuel to fill 10,000 barrels.